Indianapolis, Indiana – Plaintiff and Attorney, Richard N. Bell of McCordsville, Indiana, filed suit in the Southern District of Indiana alleging that Defendant, Classic Touch Limousine Service, Inc. (“Classic”), infringed his rights to the “Indianapolis Photo” registered on August 4, 2011 with the U.S. Copyright Office, Registration No. VA0001785115. Plaintiff is seeking a declaratory judgment, permanent injunction, actual and statutory damages, reasonable attorney’s fees, costs, and all other proper relief. Since March 2000, when Bell took the Indianapolis Photo, he has published and licensed the photograph for publication. Bell first published the Indianapolis Photo on a website on August 29, 2000 and has utilized the photograph to advertise his photography business. Plaintiff has notoriously filed many Complaints regarding copyright infringement for the Indianapolis Photo ever since. Plaintiff asserts Defendant created a website to advertise their business in Indianapolis and published the Indianapolis Photo on that website. Bell discovered the published photograph on April 6, 2018, which did not disclose the source of the photograph. According to the Complaint, Classic has refused to pay for its unauthorized use of the photograph and has not agreed to be enjoined from using the photograph. As a result of Classic’s use of the Indianapolis Photo, Bell claims Classic is liable for copyright infringement. Further, Bell asserts Classic is vicariously liable for each copy of the photograph downloaded by a third-party user and any profit from those third-party downloads. Plaintiff also claims that Classic has benefited from its infringing use of the Indianapolis Photo and all profits and benefits belong to Bell pursuant to 17 U.S.C. §§ 504 and 505 and 15 U.S.C. § 1125(a). 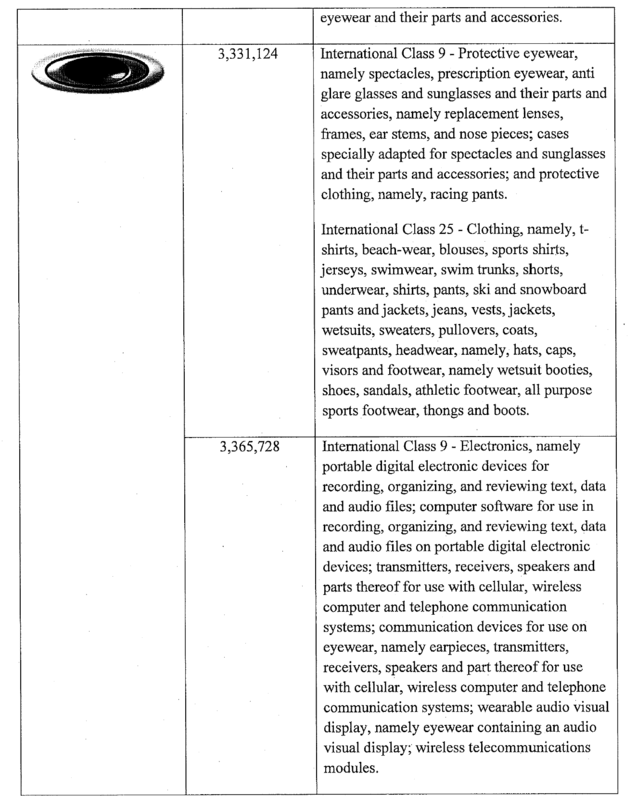 The Bell Complaint alleges: “Defendant CLASSIC TOUCH LIMOUSINE SERVICE INC. (“CLASSIC”) has and does conduct business in this district.” However, the Indiana Secretary of State’s office shows that the corporation CLASSIC TOUCH LIMOUSINE SERVICE INC. was “administratively dissolved” in 2018. This is at least the second time that Mr. Bell has sued a limousine company that has turned out not to exist. In 2016, he sued “A1 Luxury Limousine of South Florida, Inc” and ultimately obtained a default judgment for $150,000. However, that company had also been dissolved, making the prospects for collecting on that judgment remote. These Complaints serve as a reminder that, before filing suit, a Plaintiff should check to make sure the proposed defendant really exists. Terre Haute, Indiana – Attorneys for Plaintiffs, Baskin-Robbins Franchising LLC, and BR IP Holder LLC (collectively “Baskin-Robbins”), both Delaware limited liability companies, filed suit in the Southern District of Indiana alleging that Defendants, Big Scoops Inc. and David M. Glasgow, Jr., both of Terre Haute, Indiana breached their Franchise Agreement with Baskin-Robbins by failing to pay required fees. By continuing to operate, Defendants are infringing Baskin-Robbins’ trade dress and numerous registered trademarks. Baskin-Robbins Franchising is in the business of franchising independent businesses and people to operate Baskin-Robbins shops in the United States. The “Baskin-Robbins” trade name, trademark, and service mark are owned by BR IP Holder along with other related marks. Since October 14, 2015, Big Scoops has been the owner and operator of a Baskin-Robbins shop located in Terre Haute, Indiana pursuant to a Franchise Agreement with Baskin-Robbins. David M. Glasgow, Jr. personally guaranteed the obligations of Big Scoops under the Franchise Agreement. Pursuant to its Franchise Agreement, Big Scoops was granted a license to use the trademarks, trade names, and trade dress of Baskin-Robbins, but only in the manner specified in the Franchise Agreement. The fees due to Baskin-Robbins from Big Scoops under the Franchise Agreement included a franchise fee equal to 5.9% of gross sales of the business, an advertising fee equal to 5.0% of gross sales of the business, late fees, interest, and costs on unpaid monies due under the Franchise Agreement, and all sums owing and any damages, interest, costs and expenses, including reasonable attorneys’ fees, incurred as a result of Big Scoops’ defaults. Under the Franchise Agreement, Big Scoops agreed that nonpayment of any of the required fees would be a default, that failure to pay within seven days after receiving written notice would be a continued default, and that receiving three notices of default within a twelve-month period would result in Baskin Robbins having the right to terminate the Franchise Agreement. Plaintiffs sent Big Scoop three separate notices that it was in default of the Franchise Agreement for nonpayment on June 19, 2018, October 9, 2018, and December 7, 2018. As a result of these defaults and failure to cure after the December 7, 2018 notice, Baskin-Robbins sent Big Scoop a Notice of Termination with respect to the franchised business on February 12, 2019. Since receiving the Notice of Termination, Defendants have continued to operate the Baskin-Robbins shop and have used the Baskin-Robbins marks without authorization. Baskin-Robbins is claiming breach of contract, trademark infringement pursuant to 15 U.S.C. § 1114, unfair competition pursuant to 15 U.S.C. 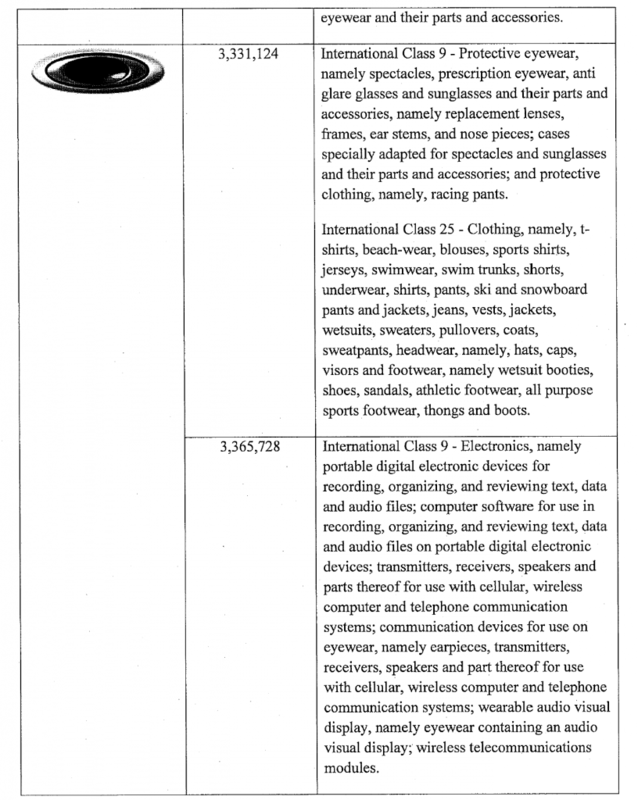 § 1125(a), and trade dress infringement pursuant to 15 U.S.C. § 1125. Indianapolis, Indiana – Attorneys for Plaintiffs, LeSEA, Inc., Family Broadcasting Corporation (“FBC”), and LeSEA Global Feed the Hungry, Inc., all three Indiana non-profit corporations, filed suit in the Northern District of Indiana alleging that Defendants, LeSEA Broadcasting Corporation (“LBC”), a Colorado non-profit Corporation, Lester Sumrall of Bristol, Indiana, Dr. John W. Swails III of Tulsa, Oklahoma, and Edward Wassmer, Vice President of LBC, infringed its rights in United States Registration No. 2,206,912 for “LESEA GLOBAL FEED THE HUNGRY” and United States Registration No. 2,122,820 for “LESEA GLOBAL”. Plaintiff is seeking damages, litigation expenses, reasonable attorneys’ fees and costs. LeSEA, Inc. was founded in 1957 by Dr. Lester Frank Sumrall, now deceased, and has been a Christian, non-profit operating a variety of ministries including a bookstore and a Bible college ever since. LeSEA Global oversees food and disaster relief efforts for LeSEA, Inc. and has delivered more than $200 million of food and supplies to hungry people around the world through generous donations. FBC, formerly known as LeSEA Broadcasting, operates television and radio stations along with a 24-hour prayer line, and other religious based programs. According to the Plaintiffs, Defendant Lester Sumrall (“Lester”) has a false belief that he is the “rightful spiritual and legal heir” of LeSEA and based upon this belief, he has continually acted in an abusive, harassing manner towards LeSEA and his family members involved in the company. As such, Lester has attempted to interfere with LeSEA’s relationships with its lenders and clients, sought injunctions against it, and filed improper leans against LeSEA. Lester issued multiple press releases, utilizing the LeSEA registered marks, spreading false claims about LeSEA stating that it was under investigation by The Office of the Indiana Attorney General and that it had been mismanaged, which could endanger the organization’s tax-exempt status. Lester has also tried to interfere with the administration of multiple family members’ estates and even a family member’s divorce due to his false beliefs. Hammond, Indiana – Attorneys for Plaintiff, Lightning One, Inc. of Sherman Oaks, California, filed suit in the Northern District of Indiana alleging that Defendant, Nicholas P. Harmon of Lake Station, Indiana, infringed its rights in United States Trademark Registration Nos. 4375013 and 4349360 for NATIONAL WRESTLING ALLIANCE, and Trademark Registration No. 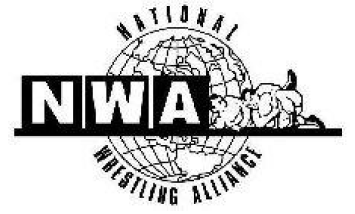 5418415 for the Logo associated with NATIONAL WRESTLING ALLIANCE. All of these registered marks will be referred to collectively as the “NWA Marks.” Plaintiff is seeking a permanent injunction, an accounting and judgment, treble damages, punitive damages, and costs including attorneys’ fees. Lightning One has been involved in the professional wrestling world for seventy years with its NWA Marks being used in interstate commerce as early as 1948. 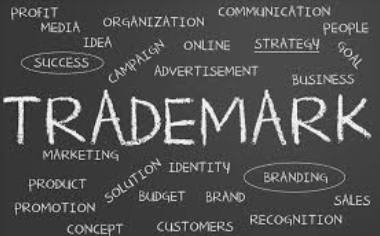 They allege that not only do they have the rights in the federally registered trademarks, they also have strong common law rights based off their prior use. Plaintiff discovered that Harmon was posting videos and other social media content claiming to be “The Real NWA World’s Heavyweight Champion” and “The People’s NWA World’s Heavyweight Champion” in April 2018. Harmon also utilized a logo to promote his services that was allegedly intended to be confusingly similar with that of the registered NWA logo. After discovering the infringing content, Lightning One sent Harmon a cease and desist letter. Instead of complying with the letter, Harmon posted his interactions with Lightning One on social media and continued using the NWA Marks. A further demand letter sent by Lightning One was also not complied with. In fact, Defendant made a Facebook post saying that he was intending on selling t-shirts using the mark N.W.A shortly after the letter. While he claims it was for his favorite rap group of the same initials, the background of this case seems to show differently. Fort Wayne, Indiana – Attorneys for Plaintiff, North American Van Lines, Inc. (“NAVL”) of Fort Wayne, Indiana filed suit in the Northern District of Indiana alleging that Defendant, North America Moving & Storage, Inc. of Miami Beach, Florida infringed its rights in United States Trademark Registration No. 917,431 for the mark “NORTHAMERICAN”. Plaintiff is seeking damages, exemplary damages, punitive damages, attorney’s fees, pre-judgment and post-judgment interest. Counts one and two of the Plaintiff’s Complaint allege Federal Trademark Infringement and Federal Unfair Competition, both under the Lanham Act. Plaintiffs allege that the Defendant’s use of “NORTH AMERICA” and “NORTH AMERICA MOVING SYSTEMS” (“Infringing Marks”) has caused and will continue to cause confusion, deception, and mistake by giving the impression that the Defendant’s services originate from the Plaintiff or are associated with the Plaintiff. Further, Plaintiffs claim there has been actual consumer confusion as to the source of transportation services sold and advertised by the Defendant. NAVL also asserts that Defendant has taken part in multiple deceptive acts including making false representations, false descriptions, and false designations of origin of its services, providing for unfair competition. Count three claims that Defendant registered and is using the northamericamoving.com domain name in bad faith under the Anticybersquatting Consumer Protection Act. NAVL alleges that Defendant is using the name without their permission and that Defendant’s intent in registering and using the domain name was and is to divert consumers from NAVL’s own websites. Count four of the Complaint alleges Indiana Trademark Infringement for Defendant’s use of a reproduction, colorable imitation, or copy of NAVL’s marks in connection with the sale, or offer of, distribution, and advertising of goods and services. Finally, Count five alleges Common Law Unfair Competition for consumer confusion and deception by Defendant’s use of the Infringing Marks. 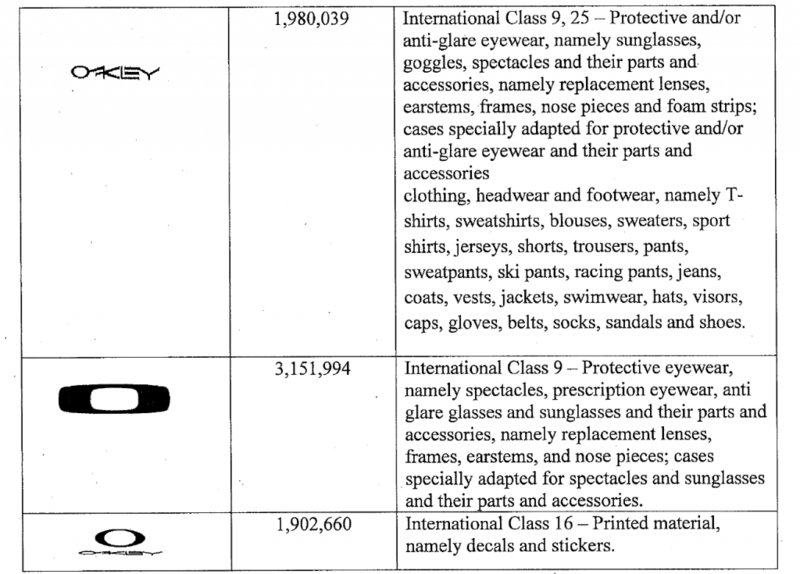 Indianapolis, Indiana – Attorneys for Plaintiff, Luxottica Group S.p.A of Mason, Ohio and Oakley, Inc., of Foothill Ranch, California filed suit in the Southern District of Indiana alleging that Defendants, Avni Petroleum, Inc. d/b/a Delaware BP of Osgood, Indiana, Pari, Inc. d/b/a Batesville Food Mart of Batesville, Indiana, Rani Petroleum, Inc. d/b/a Batesville Shell, and Sai Petroleum Inc. d/b/a New Point Food Mart of New Point, Indiana infringed its rights in United States Trademark Registration Nos. 650,499, 1,093,658, 1,726,955, 1,080,886, 1,490,305, 2,718,485, 1,320,460, and 3,522,603 all with the Owner of Luxottica Group S.p.A. Oakley, Inc., is the owner of Trademark Registration Nos. 1,521,599, 1,984,501, 1,990,262, 3,331,124, and 3,365,728. Plaintiff is seeking injunctive relief, judgment including statutory damages and attorneys’ fees. Luxottica is an Italian-based corporation that manufacturers and sells luxury eyewear under the “Ray-Ban” trademark. 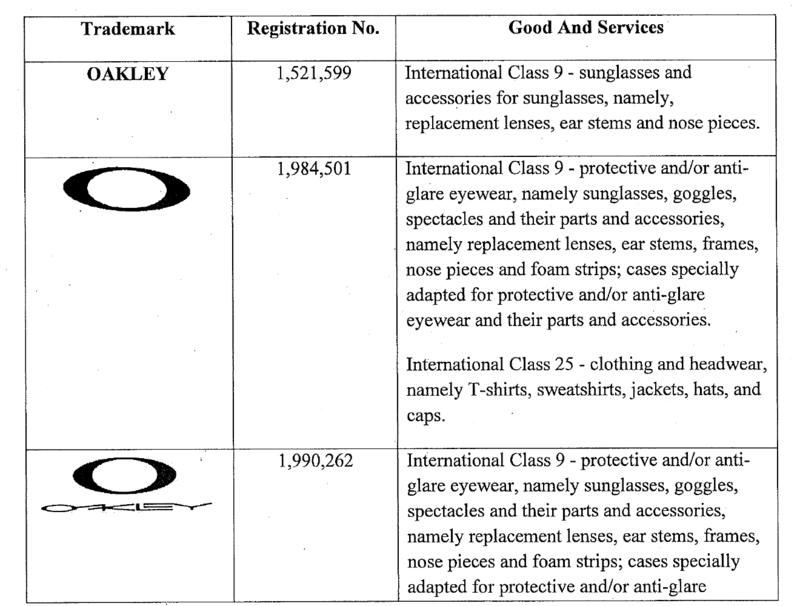 Oakley is a subsidiary of Luxottica that also produces high-end eyewear under the “Oakley” name.